Hubby bought me these small wooden boards on his travels as he thought they might come in handy with my food photography… which I’m sure they will. And some lovely chocolate bark in all sorts of flavors in my kitchen… but not for long. 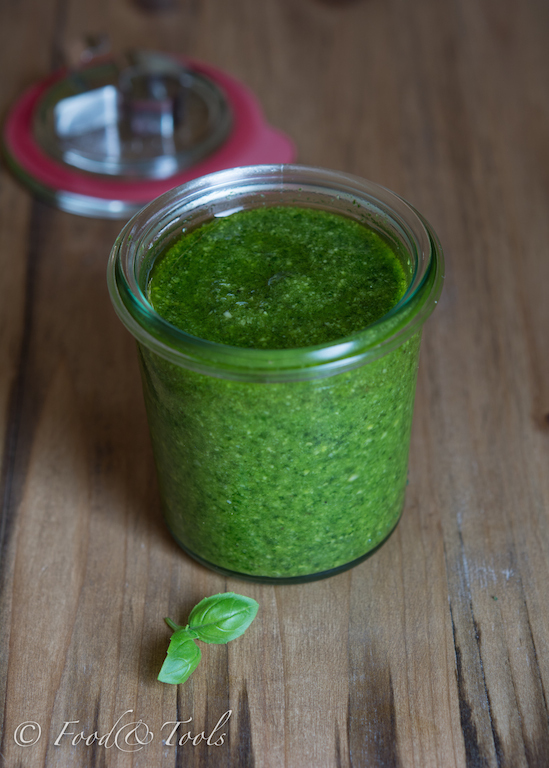 Homemade basil pesto is so easy to make and a pot will store happily in your fridge for a week… if you manage to keep it that long. 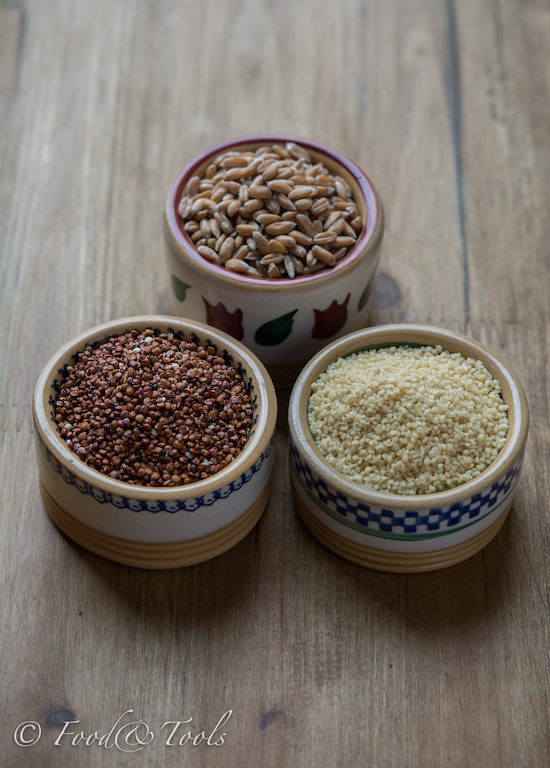 Spelt berries, quinoa and couscous are some store cupboard staples in my kitchen. Love adding them to salads, making them more wholesome. The small dishes are from my collections of Nicholas Mosse pottery… all the way from Ireland. I have many pieces in my kitchen which have travelled back with me over the years. 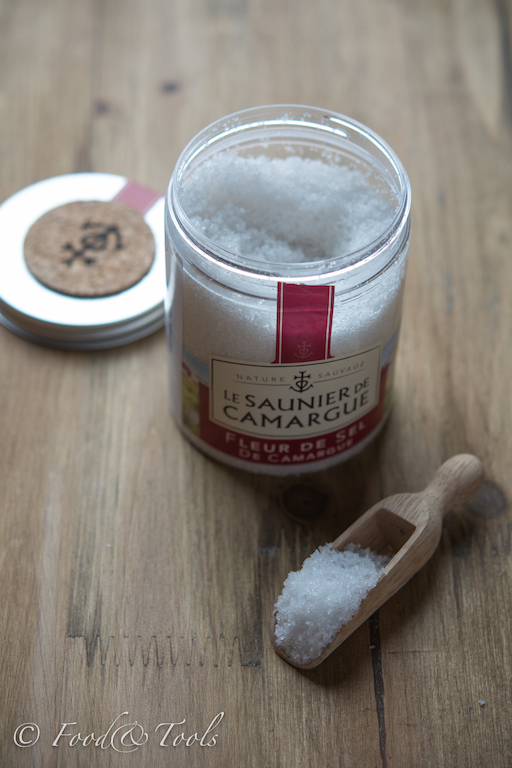 I love having different types of salts in my kitchen and usually stock up when I notice some in the supermarkets. And to go with the salts, my handy wooden scoop. Some colorful fresh veggies and some very sweet mulberries in my kitchen from our local farmers market. Love the vibrant color of the purple cauliflower and after steaming, turned a shade paler. Looks so pretty in salads and in gratins. Purple cauliflower is the same family as broccoli and some call it broccoli! It has a sweeter taste and not as bland as white cauliflower. Often on a Friday we cook local fish for lunch and we love Safi. The smaller the tastier and all you need do, sprinkle over some fish spices and season with a little salt, then fry. These are so delicious and the only way to eat them is with your hands. When fried they have a very strong aroma that clings to everything so we always cook them outside. Those little wooden boards are delightful, and the chocolate…..ummmm! 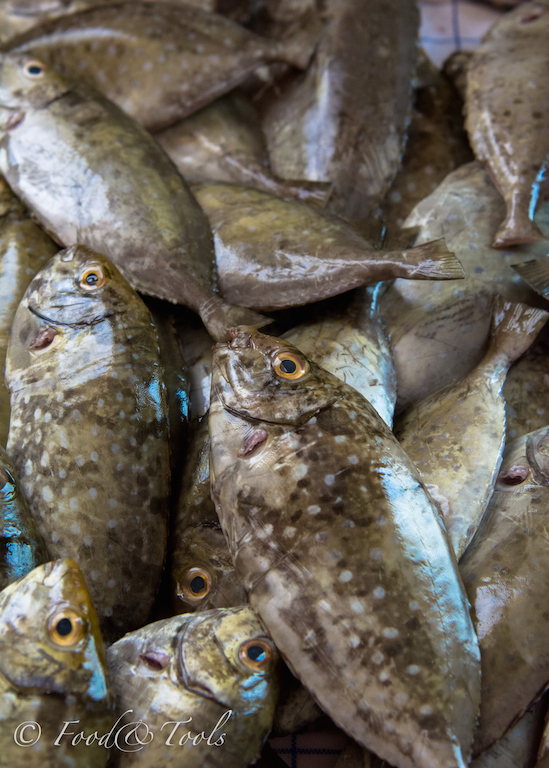 What accompanies your fish? What a wonderful husband to think of buying those boards for you. I’ll ask my husband to read this post. 🙂 Everything in your kitchen is quite special! Love the boards Moya, and the chocolate. Your pesto look delicious, great pictures as always! Thank you for the view into your beautiful kitchen. Hi Moya… loving all the goodies in your kitchen… those wooden boards are lovely, aren’t they! And those berries. Wow. Hi Fergie the purple cauliflower is very pretty indeed 🙂 My sisters husband has the same so no fish in their house too. Wow Moya, such vivid colour in that cauliflower! What beautiful pictures. Your kitchen looks very enticing and I especially love your new wooden boards, complete with chocolate! Wow Wonderful food photography and you had me at the bark Moya! Love sweet mulburries and your post brightened my day! 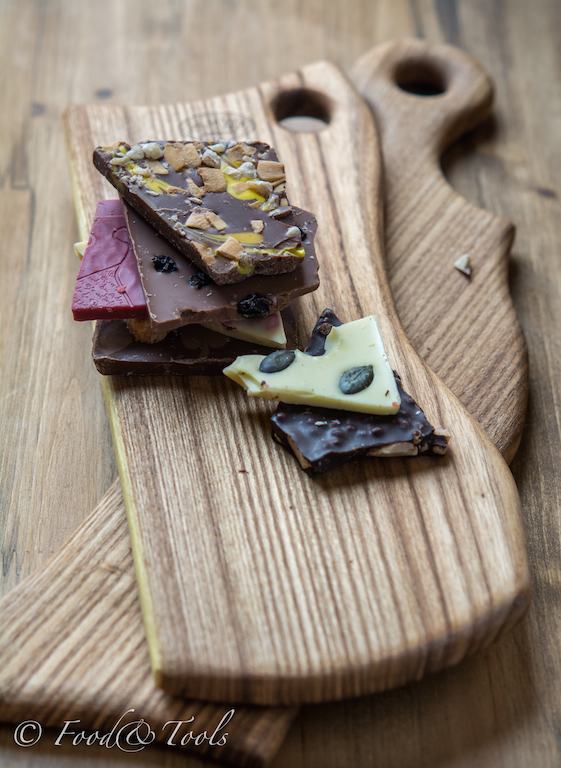 Wooden board and chocolate… does it get any better than that? I love the wooden boards and my husband loves the selection of chocolate bark. Lovely to make your acquaintance through IMK. 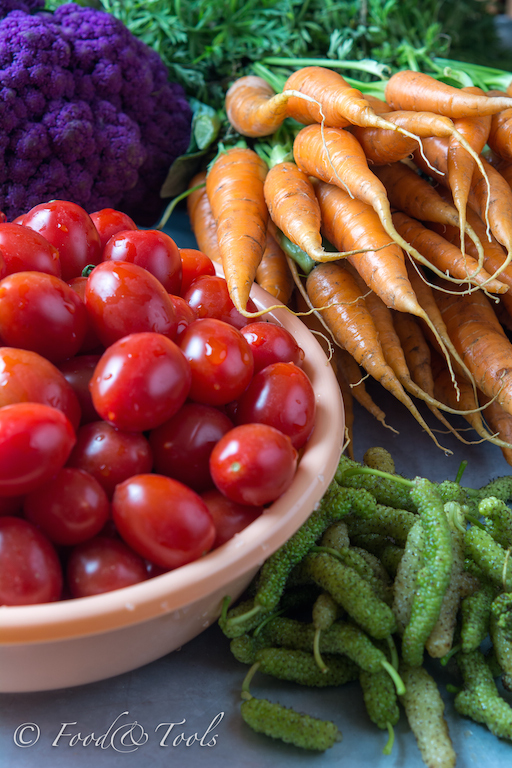 Love the vibrant fresh veg. We are trying to grow some orange and purple cauliflower in,our garden now, fingers crossed it works! Those wooden boards are gorgeous, how great to have a husband bring home fantastic gifts!